Mark your calendars for Kitsap Great Give and help Kitsap Humane Society save even more pets! Your gift will be boosted during this 24-hour online giving event. 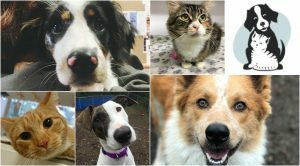 On April 23, visit kitsapgreatgive.org and select "Kitsap Humane Society" as your charity of choice. Can't wait to donate? You can schedule your gift online beginning April 9. Your donation can help shelter pets TODAY! Help us help them. It’s Petco National Adoption Weekend! On Saturday May 4th, Kitsap Humane Society will have adoptable pets at the Petco in Gig Harbor looking for loving homes! Stop by and meet your new best friend! WHEN: Saturday, May 4th | 12:00 p.m. to 3:00 p.m. WHERE: Petco Gig Harbor – 5190 Borgen Blvd, Gig Harbor, WA 98332 To view all of our adoptable pets, please visit our available pets page. On Sunday, May 19th, Eleven Winery will be donating 100% of their tasting fees (that's right: 100%), and 10% of all bottle purchases to Kitsap Humane Society. This event will be held at the winery location only, which is open 12 p.m. to 5 p.m. We'll also have adoptable pets with us looking for their forever homes! Drink great wine while supporting Kitsap Humane Society!